From the first blistering riff assault, it's clear to hear what kind of music Space Chaser digs. Thrash with a '90s pedigree seeps from their core, with drums, guitar, bass, and vocals all rocketing forward at extreme speeds. The songs are quick and punchy, with plenty of opportunities for head-banging and circle pits to erupt. That unrelenting energy does make the songs a bit difficult to differentiate at times, but it also works in the band's favor, turning the entire album into one wild freak-out of thrash. The album is also loaded with countless references to B-movie sci-fi and horror, from the Puppet Master-derived “Decapitron” to the frenetic “Saucer Attack”, “Predator” and “Undead Revenge”. 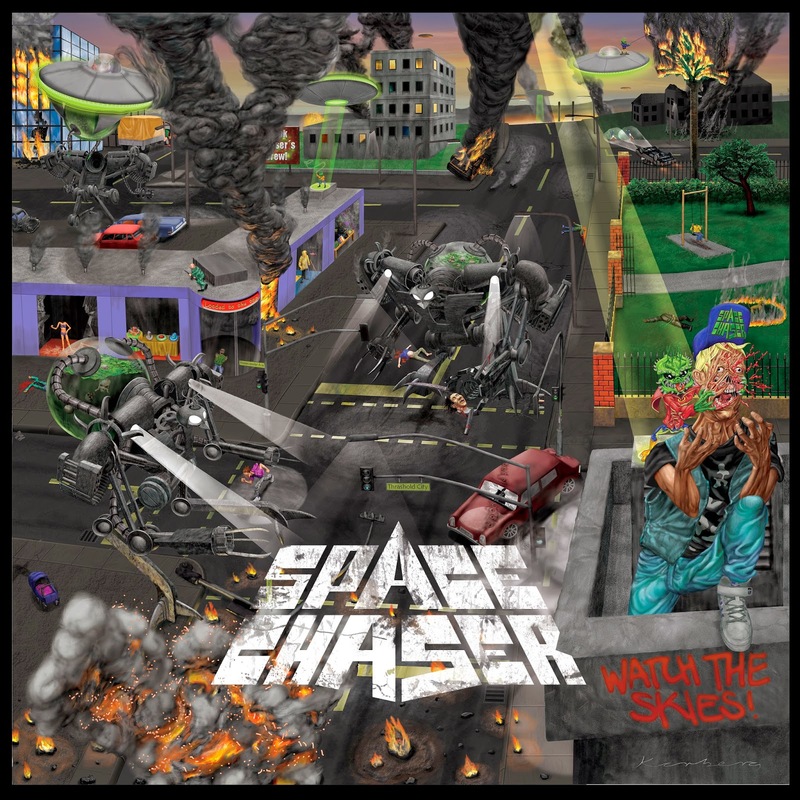 If you have a longing for ye olden days of thrash with a sense of fun around it, be sure to check out Space Chaser for a taste of that time, unfiltered and undiminished; the Germany-based group will be releasing Watch The Skies through This Charming Man Records for you to get your gnarly little hands on a copy this May. For Fans Of; Holy Grail, early Megadeth, Exodus, Exciter, Dr. Living Dead!